Home Hair Color: How Light or Dark Can You Go? Looking to brighten up your look with a lighter shade? Want to take a walk on the dark side or lighten your hue? Check out how light or dark our custom color will take you, or if you’re a better fit for a visit to the salon. Our goal at eSalon is to recommend the most natural-looking shade when it comes to your hair color. 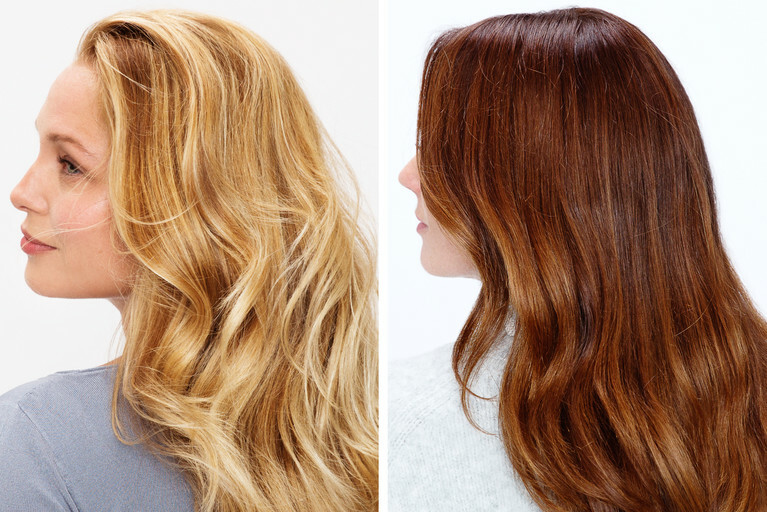 There is a science behind going lighter or darker, and our expert colorists will work with you to get a beautiful, seamless color within two shades of what you have now. Here’s the scoop on how our hair color works, and what you can achieve with a bespoke hue. To understand how light or dark you can go, it’s important that we talk about “levels,” which tell us what your current hair color is. At eSalon our color chart spans from level 2 (Soft Black) and scales up to level 10 (Lightest Blonde). Is your color closer to black? Or is it more blonde? Once we figure out how light or dark you are naturally, then we can visit other factors that impact your result. When crafting your custom color, we look to the following: your natural shade, skin tone, eye color, color history, and how often you apply color. If you’re someone who wants to change their hue, our hair color can get you up to two shades lighter or two shades darker. That’s pretty amazing for home hair color. Did you know our formulas allow adjustments as little as ¼ of a shade? That means if you like the color you have and just want to adjust it so it’s slightly lighter or darker, we can do that for you. This adjustment is totally unique to home hair color. Plus, our mixing magic allows us to make your color as fresh and as accurate as possible (pretty cool, right?). And if that isn’t amazing enough, we’ve already formulated and shipped over 165,000 unique custom Color Sets to women (and men!) all over the world. So when we say we’ve got you covered (grays too), we mean it. Color happiness is kind of our thing -- we guarantee it. Before you jump into a darker hue, we recommend going slowly—one shade at a time. This way you can test your color and see if it’s really what you want. But don’t worry—we won’t let you color blindly. If you decide to go darker, a pro colorist will review your Color Profile with your most recent photo to help you pick the best shade (even if you’re just testing it out). Here’s a tip:If you really want to go more than two shades darker, we recommend trying out a wig first. Keep in mind, that to remove a darker shade you’ll need to bleach your hair, and that’s something that will stress out your strands. If you’re looking to go darker but have highlights or bleached hair, a colorfill will take care of that. A colorfill will replace warm pigments that have been stripped by bleach and other lightening techniques. 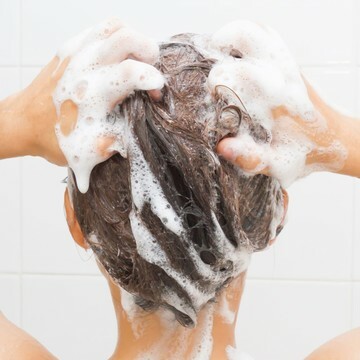 If you’re looking to go lighter, there are a few things you should know. Hair color alone can't lift or lighten your existing color—for that, you’ll need something much stronger. There are two types of hair color you can choose from: demi-permanent or permanent hair color. Demi-permanent only deposits color which is gentler on your hair overall since it coats the hair’s cuticle, but it won’t lighten your hue. 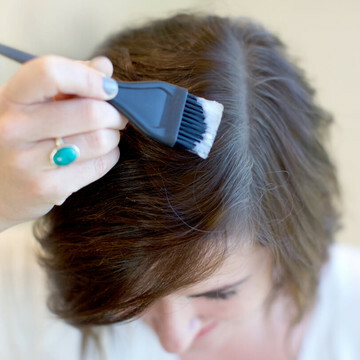 Permanent hair color, however, can slightly lighten your color by opening the hair’s cuticle and depositing pigment there. Because permanent hair color is stronger than demi-permanent it can have more of an effect on lightening your color and covering your grays. Going more than a shade or two lighter than your natural color will require a super strong developer. There’s really no other way around it (especially if you’re on the darker side), so for a dramatic look you’ll probably want to call your salon instead of trying it at home. A popular secret is highlights; this approach will give your hair that sunkissed dimension and catch light naturally, lifting the appearance of your overall color. It’s a good thing we have those too (wink). We want your hair color to look natural, and that’s our goal with home hair color. Our colorists will help you go down or up a shade, make a complete color transformation, or enrich your natural hue. Remember that going gradually is the way to get a gorgeous color that you can stick to and modify as you go. For the best result, go with a custom color that’s made for you and you only. Thinking about changing your color? Chat with an eSalon colorist to help you find color happiness and the shade that makes you shine—because when you dig your hue, it shows.